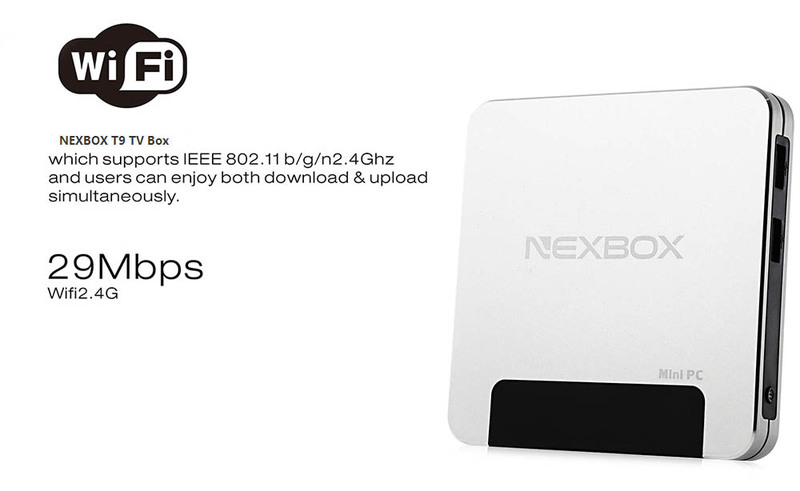 NEXBOX T9 TV box is a smart streaming media player with Win 10 OS. It is powered by the stable and reliable Intel Z8300 Quad-core 1.84GHz 64bit CPU with Intel HD graphics chip. With pre-installed XBMC, Google Play Store and other apps, you can enjoy smooth multi-tasking, game playing or movie viewing. 4GB RAM and 64GB ROM extend capacity will give you enough space to do your things without worrying about it. 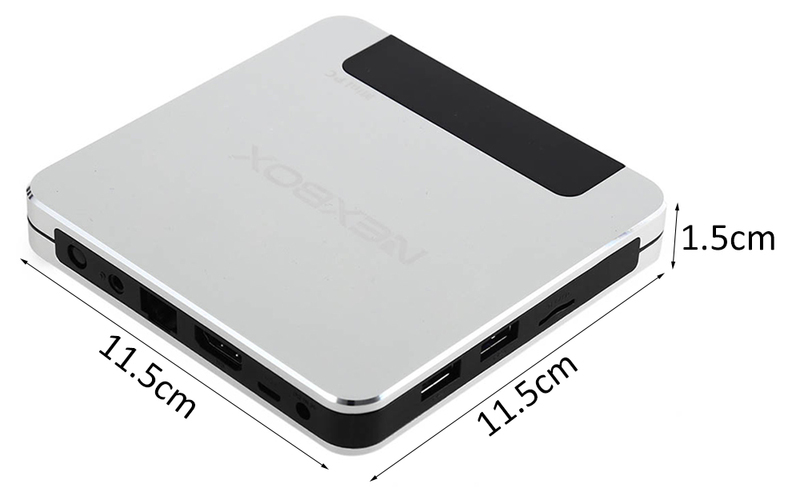 All in all, this TV box is a good choice for you. Let you enjoy your wonderful life. ● Support KODI: KODI can be used to play almost all popular audio and video formats. ● With Win 10 system, we will have high speed feedback and smooth response. ● Internet connectivity: WiFi ( 802.11 b / g / n ) and RJ45 10 / 100M. 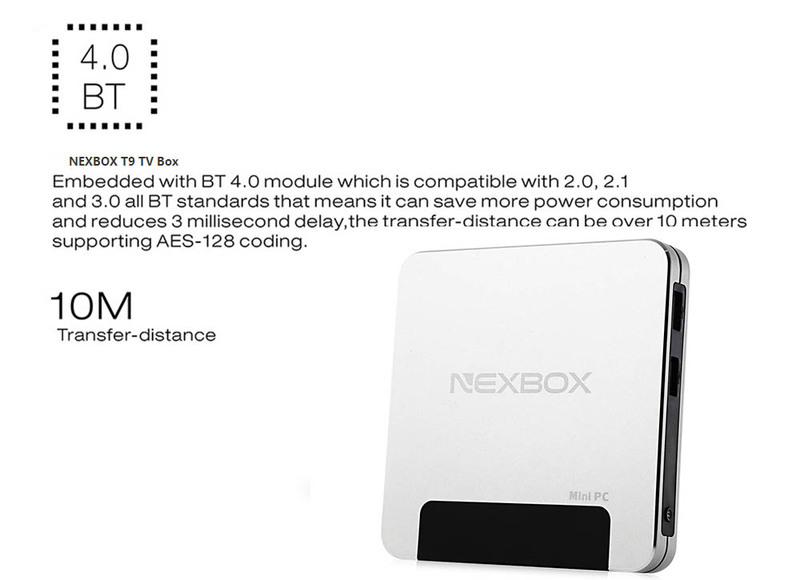 ● HDMI 2.0 connector: You can directly connect your TV to NEXBOX T9 TV Box through a HDMI cable and set up your home cinema for the best 1080P multimedia experience. ● 4GB RAM and 64GB ROM gives you more space to download your favorite apps and caches to browse websites, play games, run apps, watch movies more smoothly. 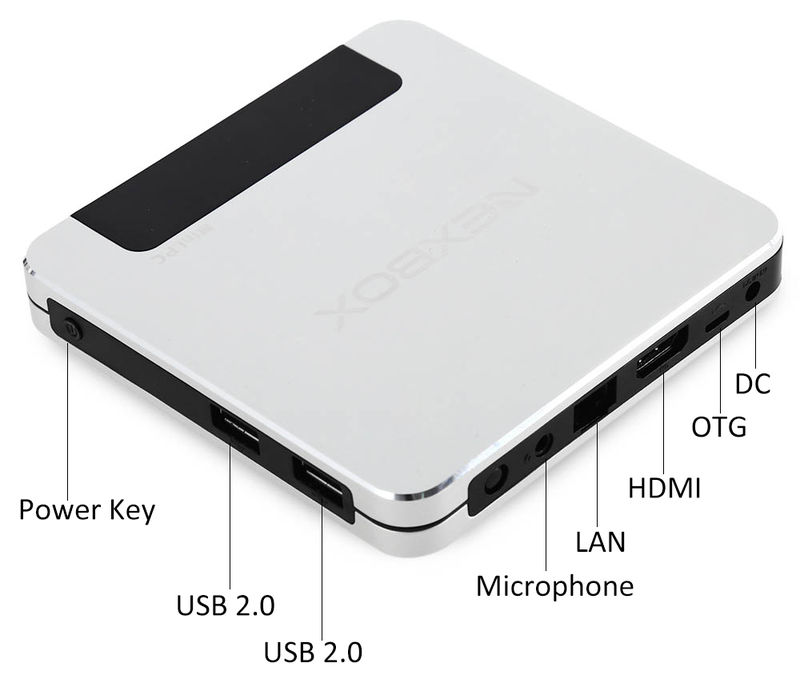 ● Three USB 2.0 and one USB 3.0 host ports: Connect with your mouse and keyboard to help you operate more convenient. ● Network function: Skype chatting, Picasa, YouTube, Flicker, Facebook, Online movies,etc..
● Built in BT 4.0 and 2.4G wireless, easy pairing with most Bluetooth enabled devices. ● HDD file system: FAT16 / FAT32 / NTFS. 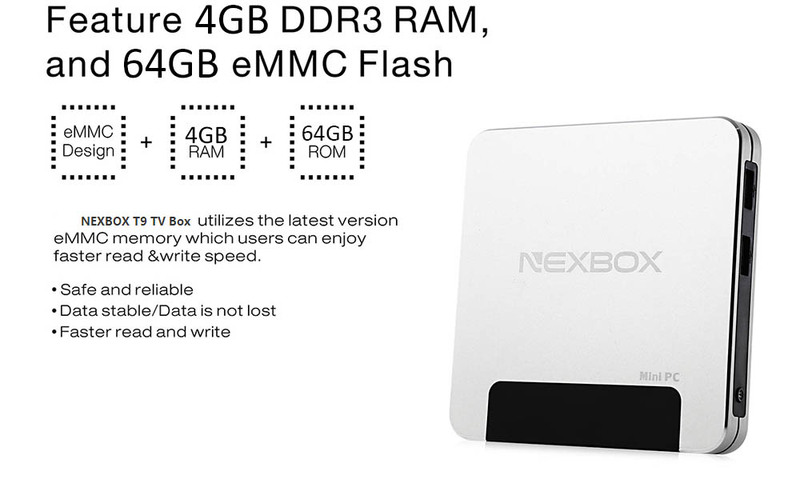 ● Support TF card, up to 64G ( Not included the TF card ). ● Infrared remote control ( Powered by 1.5V 2 x AAA battery, batteries are not included ).